Bank of America, like most of the top banks in the US, charges fees for its accounts. 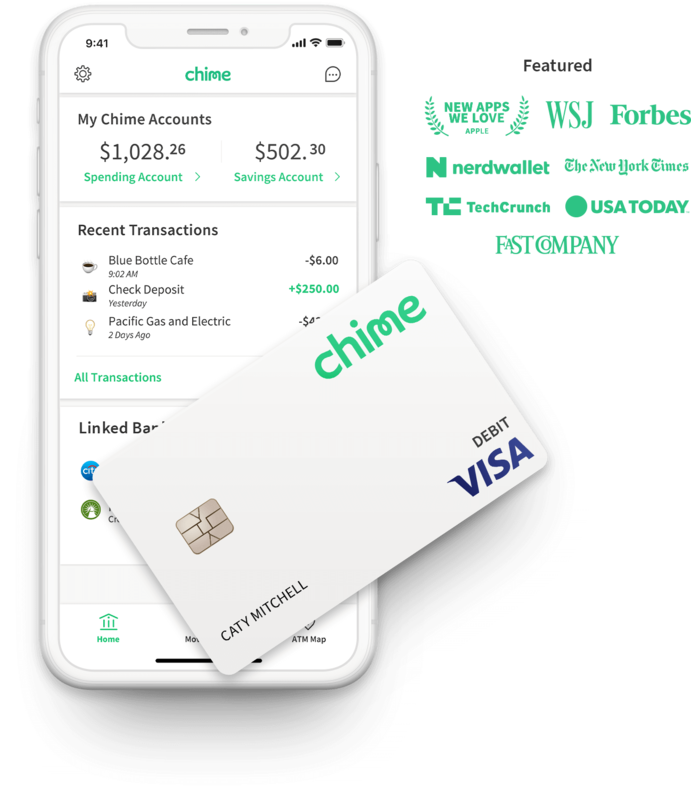 These charges include Bank of America overdraft fees, monthly maintenance fees, checking account fees, savings account fees, wire transfer fees, foreign transaction fees, and ATM fees for using a non-Bank of America machine. 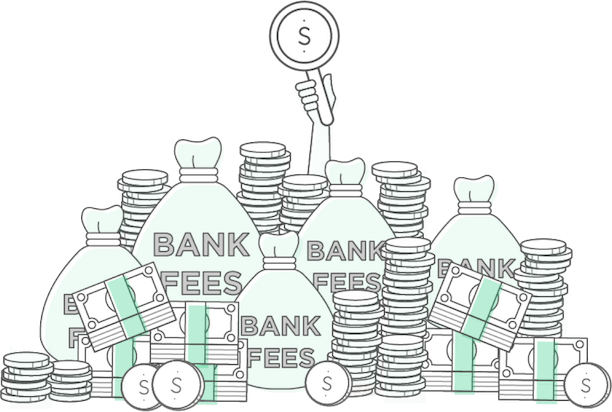 Find out what bank fees and charges you are paying or going to pay when you open an account. Bank of America Core Checking Account has a $12 Monthly Maintenance fee which is waived with at least 1 direct deposit of $250 each month or maintain a minimum daily balance of $1,500 or more. Bank of America Interest Checking Account has a Monthly Maintenance fee of $25 which is waived if the balance of all linked accounts is above $10,000. Bank of America Safe Balance Banking comes with a Monthly Maintenance fee of $4.95 which cannot be waived. Bank of America Savings account fees come with a number of restrictions on the maximum number of free withdrawals and restrictions against making payments directly from the account. The three levels of savings accounts are Rewards Savings, a Minor Savings Account (owned and maintained by an individual under 18), and a Custodial Savings Account which is similar to the Minor Savings account but is managed by a custodian such as a parent. Rewards Saving Account has a monthly fee of $8 which is waived with a minimum daily balance of $500. Minor Savings Account has no monthly maintenance fee but is only available to those under 18 and converts to a Rewards Savings Account once the holder turns 18. Custodial Savings Account is $5 per month which is waived with a minimum balance of at least $300. 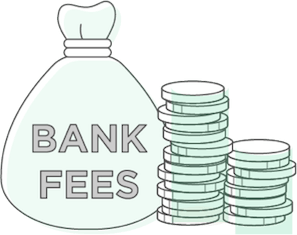 Bank of America overdraft fees are broadly similar to other banking providers and are standard across their accounts at $35 for each payment authorized or returned item, with a maximum of four charges per day. Overdraft Protection is available for linked Bank of America accounts. If there is not enough money in one account to pay for the transaction the money will be automatically transferred from the linked account to cover the amount. There is a $12 fee per transaction to use this service. Should the account holder need to have a copy of their bank statements or printable check images, perhaps due to loss or needing to send to a third party, then they are able to request a copy of their bank statement. The charge is $3 per request. ATM transactions at Bank of Americas ATM network are free for account holders. 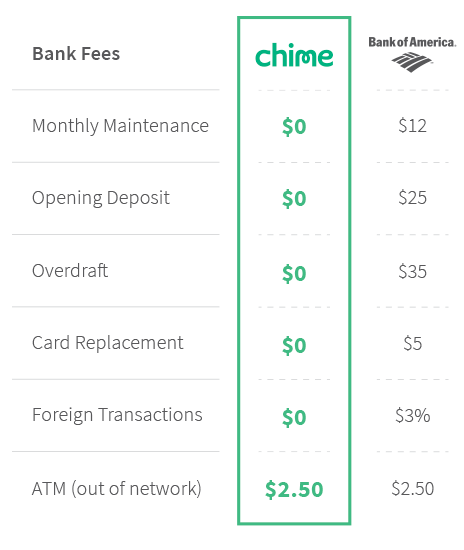 Use of a Domestic non-Bank of America ATM will result in $2.50 fee per transaction. This is in addition to any charges that the ATM operator may add. For foreign non-Bank of America ATMs there is a fee of $5 per transaction. 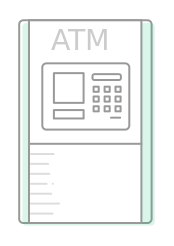 In addition, there is an “International Transaction Fee” of 3% for each ATM withdrawal converted into local currency. The issuing bank may also charge a transaction fee. Ordering checks for a personal account costs on average $30.If a customer requires a cashier’s check, usually needed for real estate purchases or brokerage transactions, these carry a fee of $10 per check. Account holders are able to place a “stop payment” on any checks they have issued. Each request carries a charge of $30. Wire transfer fees with Bank of America depend on a number of factors such as whether it is incoming, outgoing, is it a domestic or foreign transfer and what currency the wire needs to be sent in. These are outlined in detail below. Incoming domestic wire transfer fees are $15 per transaction. Incoming foreign wire transfer fees are $16 per transaction. Outgoing domestic wire transfer fees are $30 per transaction. Outgoing foreign wire transfer sent in foreign currency fees are $35 per transaction. Outgoing foreign wire transfers sent in U.S. Dollar fees are $45 per transaction. Customers should be aware that other banks may also charge additional fees for both incoming and outgoing foreign transfers made in any currency. If a deposited transfer is returned there is a fee ranging from $12 to $15. To replace a lost, damaged or stolen debit card that has not expired, Bank of America charges $5. Rush delivery incurs an extra $15 charge. There are ways to reduce the overall amount of fees associated with Bank of America accounts. Open only the appropriate type of account. Only use Bank of America ATMs. Link checking and savings accounts.